Rob, a passionate young chef, initiated his culinary skills by setting up his first cafe on Rokeby Road in Subiaco, at the tender age of 15. 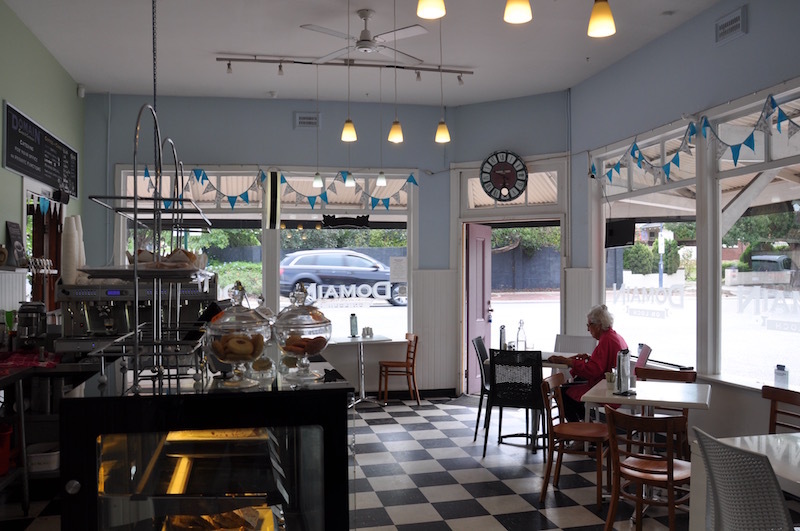 To fulfil his lofty dreams of managing a catering business together with a dine-in cafe, Rob and his wife purchased a plot of land, 30 Loch Street, a heritage site according to the Nedlands Council, to expand their business. Their spacious bungalow enables them to entertain customers in their indoor as well as outdoor seating areas, while at the same time boasts ample space to manage their catering business. 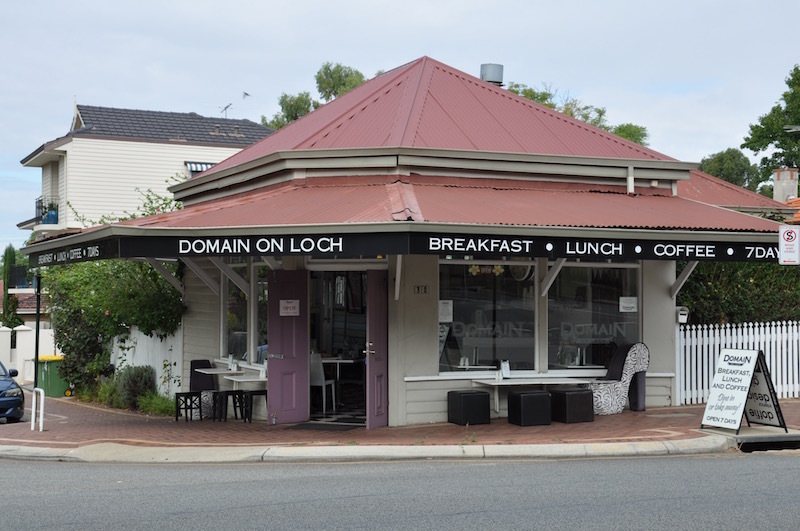 Domain on Loch has been catering for corporate events for the past 25 years with Rob serving as the owner and chef, working alongside six other chefs, to bring you the best that Nedlands has to offer. Rob believes in keeping things interesting by altering the menu every fortnight. Naturally, all-time favourites such as Baked Mushrooms with Spinach on Poached Eggs, the Oh-so-tender Pork Belly and Oven Baked Chorizo, are here to stay. The cafe offers a variety of menu options for breakfast and lunch, that change with the seasons, to cater to your every craving. Don’t miss out on their freshly baked cakes and muffins! They are an instant hit with the young and the old alike. 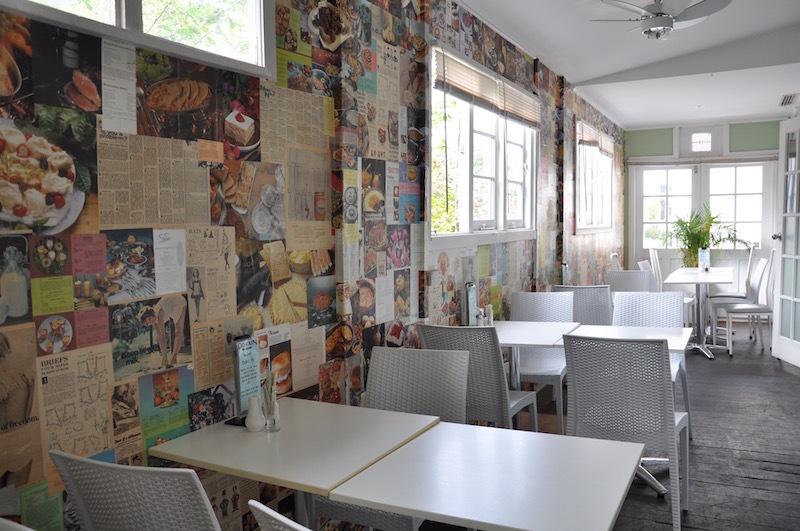 This homely cafe is warmly inviting with its fresh white decor, pastel colours and quirky wallpaper. The walls are uniquely adorned with interesting articles and an assortment of age-old recipes that convey a feeling of nostalgia. The large glass windows filter in natural light while the cosy courtyard is airy, yet tucked away from the main street. 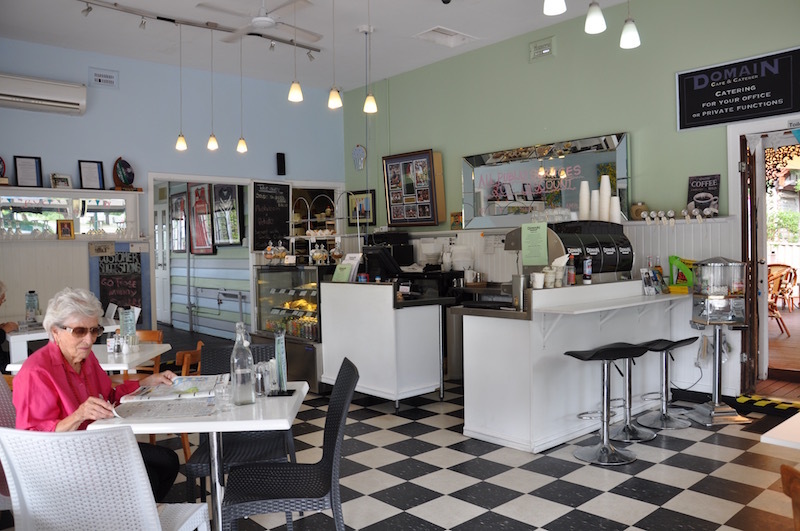 This family-oriented, pet-friendly cafe has a casual vibe that conveys the impression of enjoying a leisurely Sunday brunch at Grandma's. 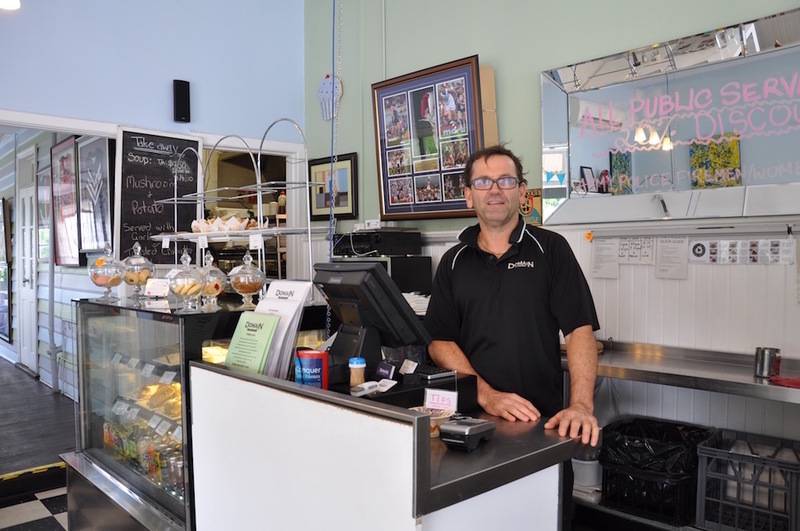 The owners enjoy engaging in conversation with their customers and getting to know them on a personal level. Domain on Loch customers have been regulars over the years - like Aunt Ruby who comes in daily for her afternoon tea! If you are planning a large family get-together with a homely aura, Domain on Loch is the perfect venue that can accommodate everyone. They’re open 7 days a week from 7am to 3pm.